You are getting married soon, hopefully. But have you accounted for the guests that will attend the party? That is the big question. The last thing you want to do is to see the uninvited who know you somehow to barge into the scene and they are not on the list. 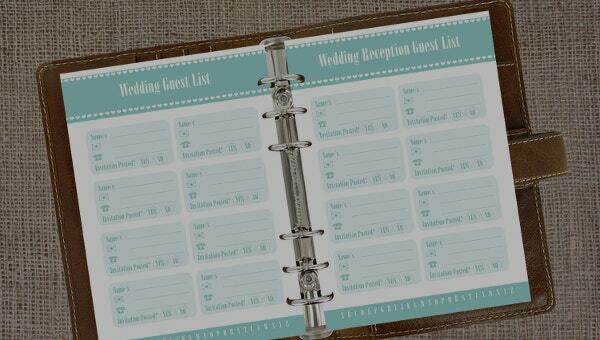 Save time, money and stress by creating a wedding Invitation guest list. You can then be sure that only the right people, welcomed to the wedding, attend the event. It is important to note that in the era where technology reflects on every aspect of life like weddings, love and valentines dates, it is only wise to take the advantage this technology and save money, misery and time. Templates are a technology approach, which can help you out of these common problems. 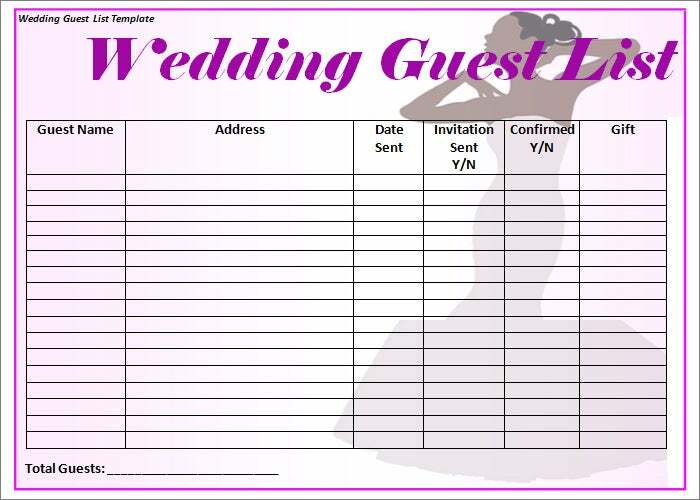 And that you are a few months or days to your wedding is a good reason enough to use the Free wedding guest list template to create a list of the invited guests. You may also see grocery shopping lists. The good thing is that the templates are great, easy to customize to match and suit your event, and are available in different formats (designs). 1. Save time by thinking less. 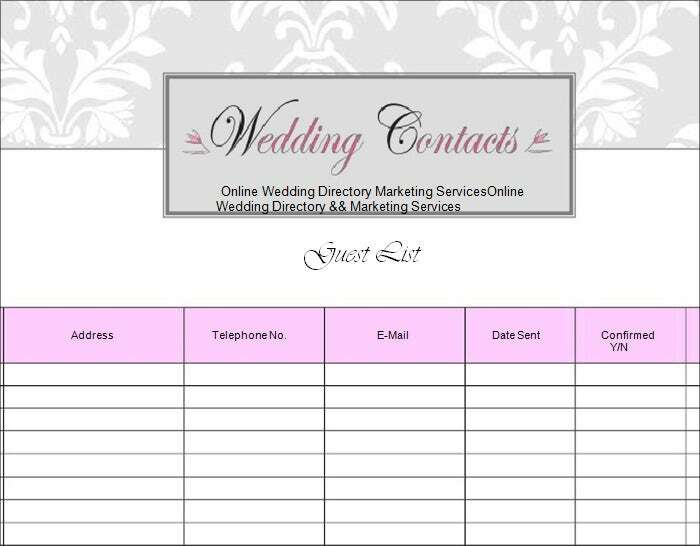 You can browse through a list of high-quality templates and make a choice of what suits you best. 2. You can use almost any template in word or excel as is. There is no need to worry about customization really, except for including the details that matter or relates to the wedding in question. 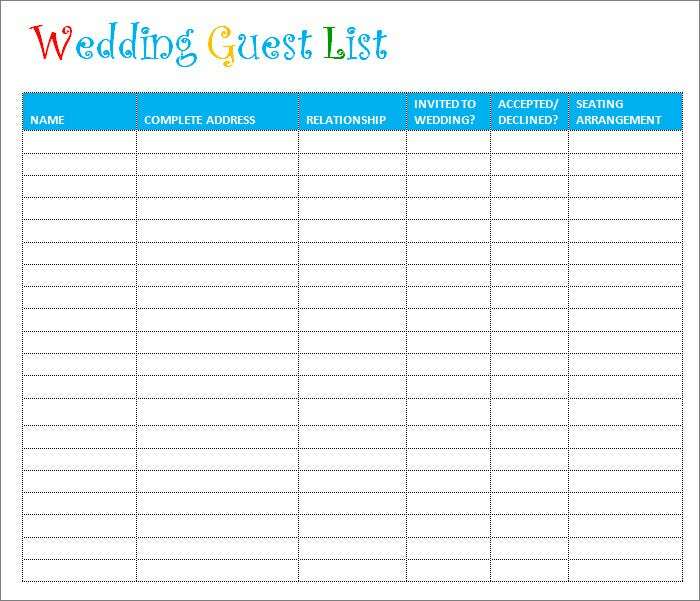 This template can serve as the best tracker to keep a track of the people you invited for your big day. 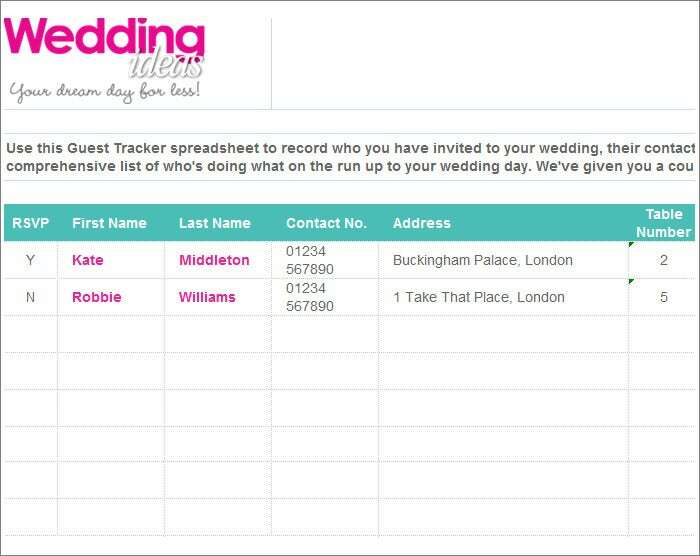 You can also include other details like, their contact number, address, table number, who is going to be doing what on the wedding day, etc so that you can have a clear idea of everything. Go for this template if you are a perfectionist and do not want to miss anything. To start with, this template has a very light, soothing look and interesting font. All details are to be filled in tabular columns – address, telephone number, email, date sent and confirmed. You can choose the color and design yourself or go with the existing one. Overall, it gives that feeling of marriage atmosphere just with the way it looks. A table, in which all details are to be filled, is the major part of this template. 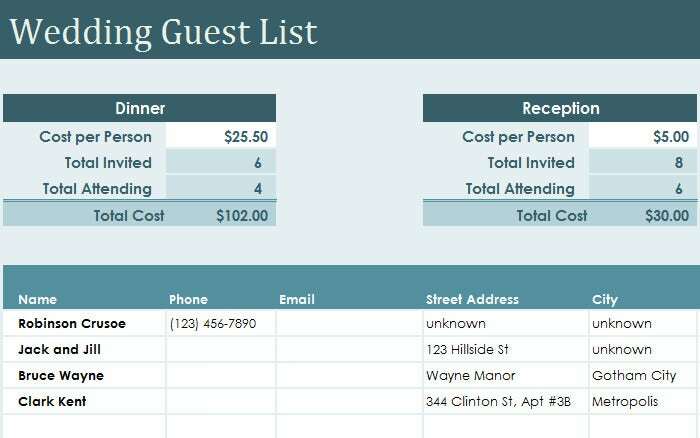 You can select the table border color and that of the title – Wedding Guest List. What makes the entire template interesting is its background, with a very light drawing of the bride that starts from the top of the page and goes till the bottom. It is always good to plan everything in advance than to be sorry later. Same is the case with your wedding planning because it is a big event and you do not want to mess up the guest list and invitations. Avoid yourself all the worries by choosing one template idea from the above. They are all neat, easily readable and beautifully designed so you do not have to look further. You may also see shopping lists.